Korben sometimes chases and licks the chicks too vigorously. He is now completely ashamed. But little ones have to be clean. And even if they are funny looking puppies they should smell right! He is being attacked by chicks!! 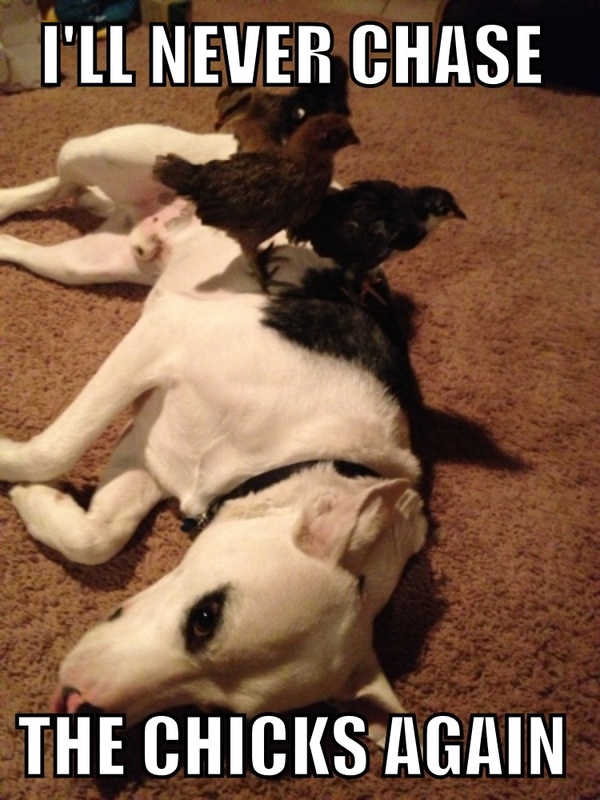 He is a chick-magnet!! The chicks ARE the master! What a good, good dog. Those chicks need to learn that licking vigorously is what dogs do. How has nobody commented on his super cool eyes!? !